There are a lot of things to see and things to do in Georgia, my home state. Unfortunately, many travelers pass right by them without stopping. Because of our more popular southern neighbor, Florida, we get lots of “through travel” along the interstates, especially I-75 and I-95. I live just off Interstate 75, and we travel it often, going south to Florida and north to Atlanta, the North Georgia mountains, and the mountains of Tennessee and North Carolina. In the Peach State, there are tons of great places to pull over and enjoy when you’re on a car trip. I usually agree with the adage that getting there is half the fun. It gives you a nice break from driving and riding, and you get to really explore the countryside. I think this is especially important when you’re traveling with kids. They’re not usually very happy on long car trips, so they get restless, bored, and cranky. If you can incorporate some fun activities for kids along the way, why not do so? 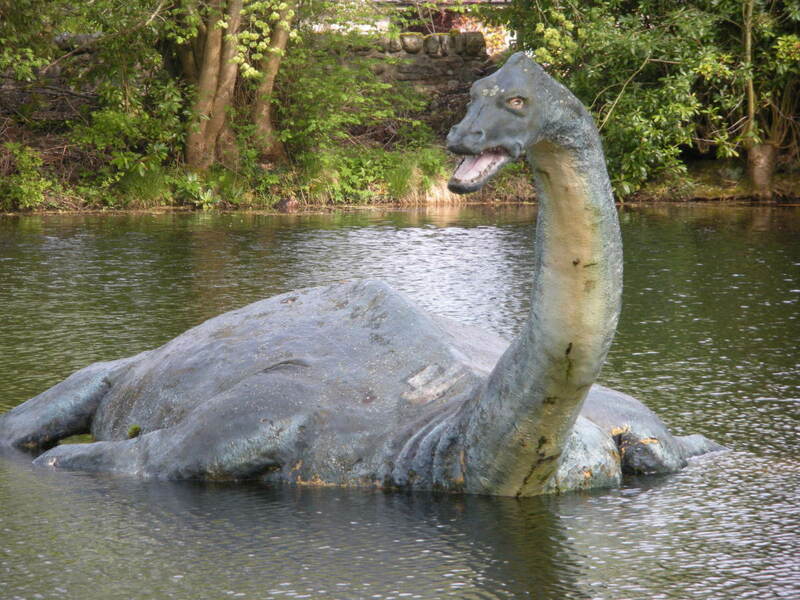 One place you might want to consider stopping is Rutland Farms, where you’ll find something of interest for all ages. 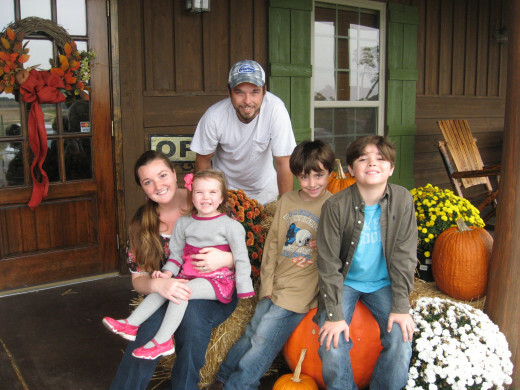 I just recently discovered Rutland Farms and all the fun activities for kids they provide. I’ve taken my grandchildren twice in the past few weeks. 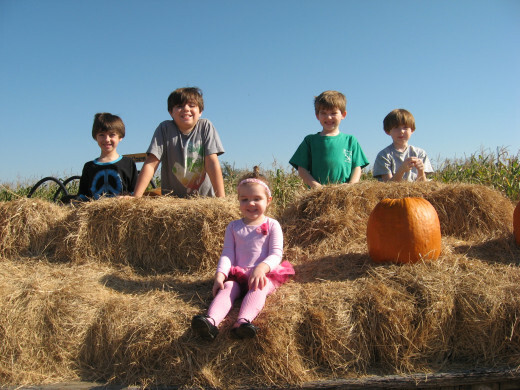 The kids had a blast picking out pumpkins, playing on the playground equipment, horsing around in the corn tub, frolicking on the hay ride wagon, and wandering through the giant corn maze. There’s also a rubber duck race game that each player powers with an old fashioned hand pump, and in October, there’s a nice bounce house for the kids to enjoy. 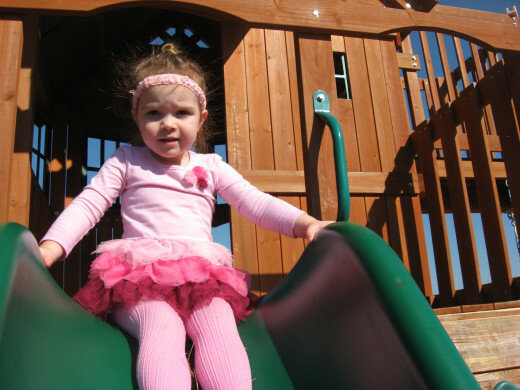 Spending some time at Rutland Farms is a great way for kids to stretch their legs and exert some pent-up energy. And if you’re traveling I-75, it’s not far out of your way, either. Just get off at exit 55 in Georgia and head west. When you get to the stop sign at Union Road, turn left. You’ll see the farm on the left, about two miles from the stop sign. 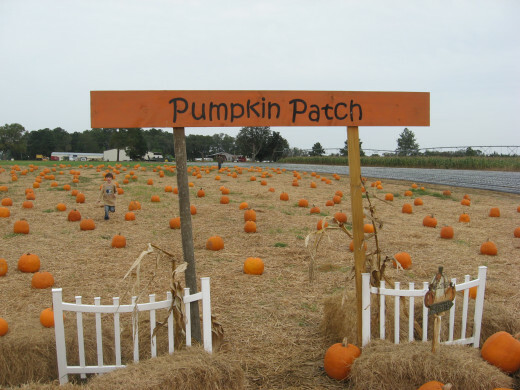 If you’re searching for pumpkin patch Georgia, look no further. 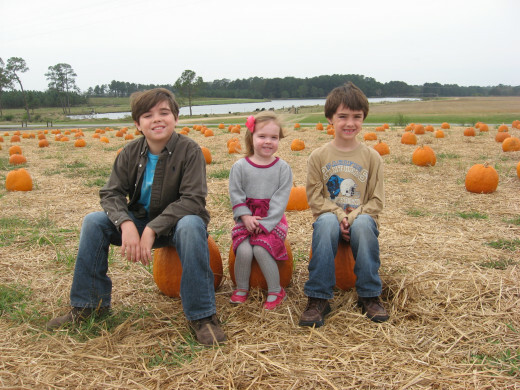 Rutland Farms has a great pumpkin patch that’s surrounded by beautiful farmland, with cattle, ponds, and pastures. At some pumpkin patches, you have to wade through weeds and briers, but you won’t have to do that here. 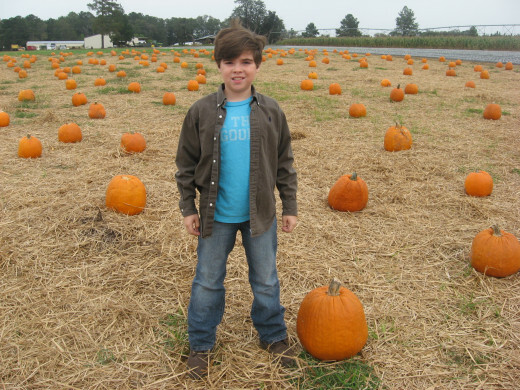 All the pumpkins have been cut and are in neat rows, so the area is easy to navigate. 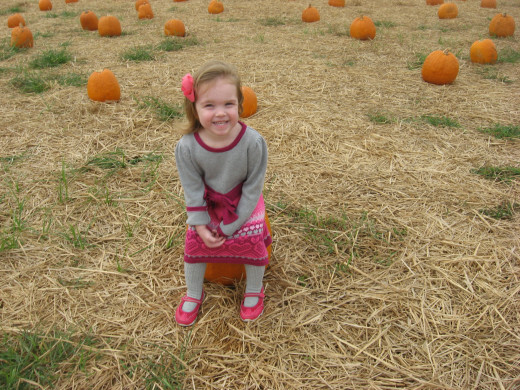 My two-year-old toddler granddaughter had no problem at all choosing just the right pumpkin for herself. In the Rutland Pumpkin Patch, you can find all different sizes of bright orange globes, just waiting to be carved into jack-o-lanterns for Halloween or to use as part of your fall décor. 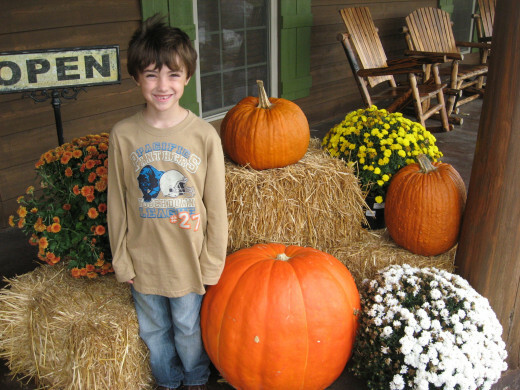 The pumpkins are priced according to size, and we found the prices to be very reasonable. This is a great backdrop for some autumn family photographs, too. 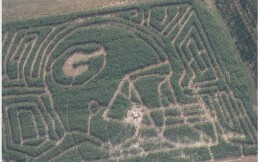 The corn maze at Rutland Farms is called the “Dawg Maze.” That’s because within the maze is a “carved out” display of a University of Georgia football helmet. The UGA mascot is a bulldog, and the team is known affectionately in much of the South as “the Dawgs.” Like most folks in South Georgia, the Rutlands are big Dawg fans. This maze is sprawling – it covers seven acres. It has plenty of dead ends, turns, and twists. 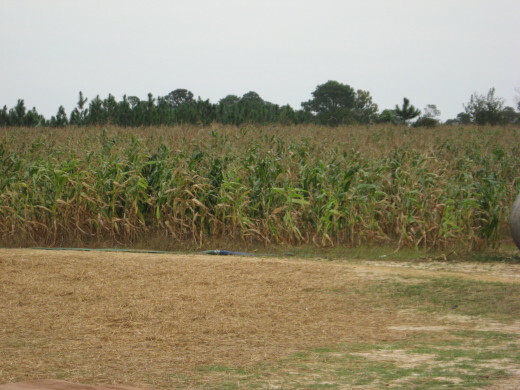 The towering stalks of corn make it impossible to view other parts of the maze, which enhances the challenge. 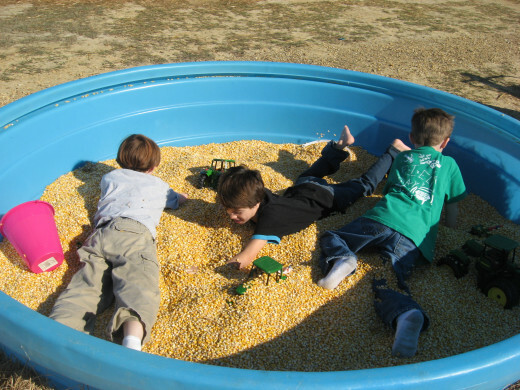 Kids, teens, and adults have a blast navigating their way through the corn and trying to solve the puzzle of which way to go. You’ll probably find this strange, but my favorite part of the corn maze is the aroma of the sun-ripened kernels and stalks. What kid doesn’t love a hay ride? Even adults often enjoy hayrides, for that matter. The hay ride at Rutland Farms runs during the month of October, but I was told that they’re extending it for warm weekends in November. I hope they do! Riding through the quaint countryside while relaxing on a fragrant bale of hay is a wonderful experience on a brisk fall day. 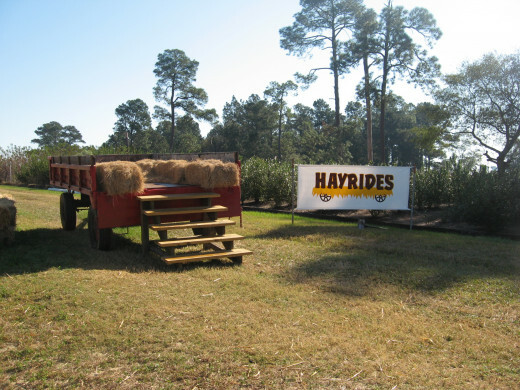 The hay ride here is very open and airy, and it’s also comfortable. A large cart/trailer loaded with hay bales is pulled by a tractor. A set of steps makes entering and exiting the cart easy for just about anyone. 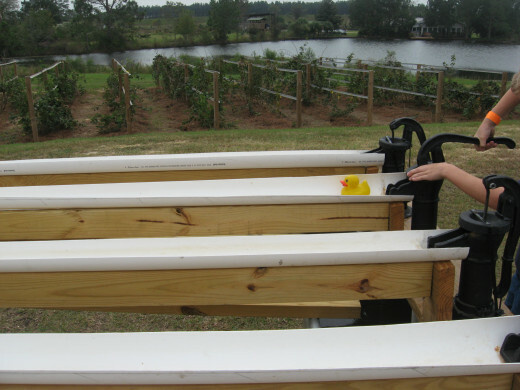 The cart also has wooden sides, so the hay rides are safe for kids, and with a parent or another adult supervising, it’s even safe for toddlers and crawlers. The activities for kids at Rutland Farms also include a bounce house in October, and I’m sure I don’t have to tell you how much kids love jumping and bouncing, especially when they don’t have to worry about getting hurt. 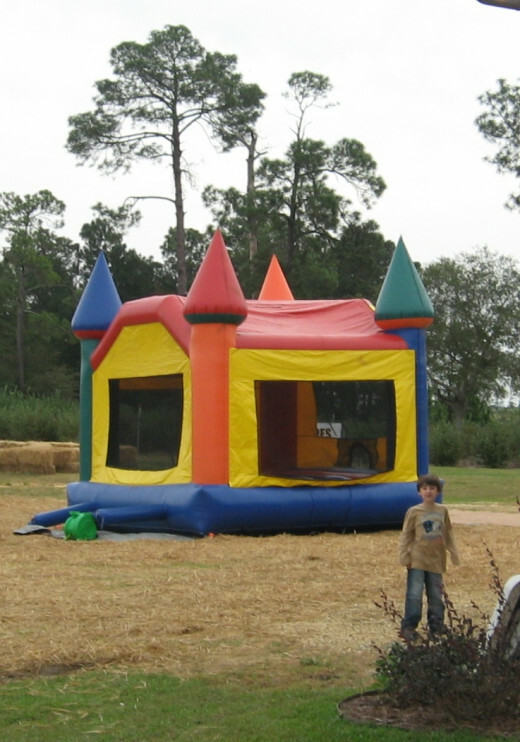 The bounce house is shaped like a castle and is located near the playground and the picnic tables. Unlike other bounce houses you might find, there’s no time limit, so children can “get their bounce on” for as long as their little hearts desire. Kids can run from the playground equipment to the corn tub to the duck race to the bounce house – all as the parents watch from the covered outdoor tables. My grandchildren really enjoy the playground equipment at Rutland Farms. 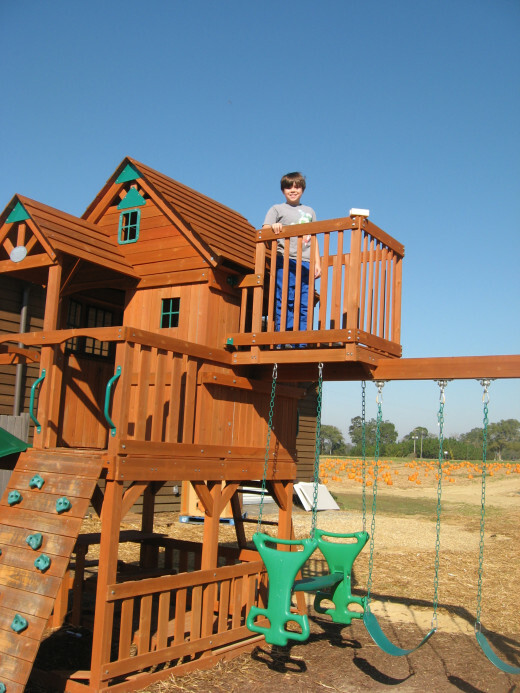 Included are a tower, swings, a climbing ramp, a see-saw, and a slide. There’s also a corn tub. What’s a corn tub? It’s a large plastic tub filled with shelled corn. 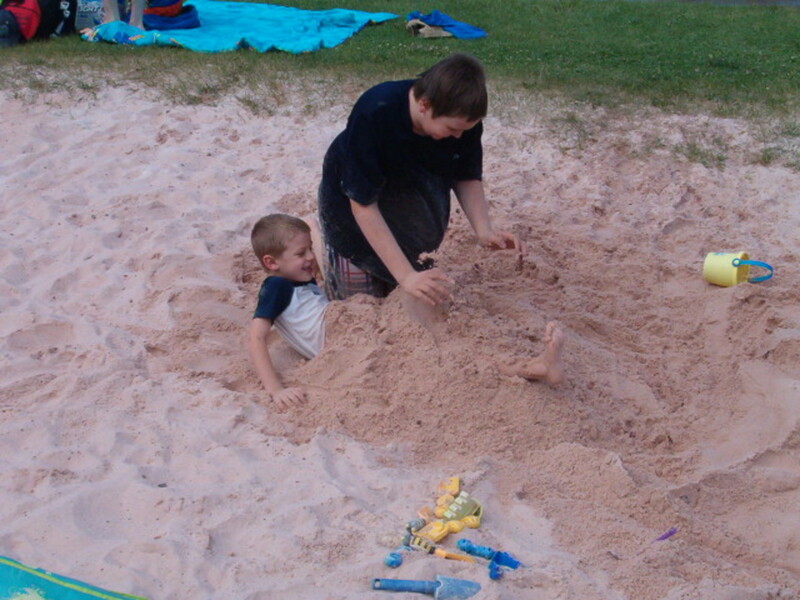 Our gang played in it like they would in a sandbox. There were some push toys like dump trucks and tractors in the corn, and my grandsons enjoyed loading the toys with dried corn and dumping it out. Next to the playground is a shelter with several picnic tables. This is a nice place for the adults to rest in the shade as they watch the kids play. I had a cold drink and a snack as I lounged at a table, and I really enjoyed soaking up the surrounding bucolic scene. It was peaceful and invigorating at the same time. I’m not implying that the playground is huge or elaborate – it isn’t. Instead, it’s low tech, old fashioned fun. 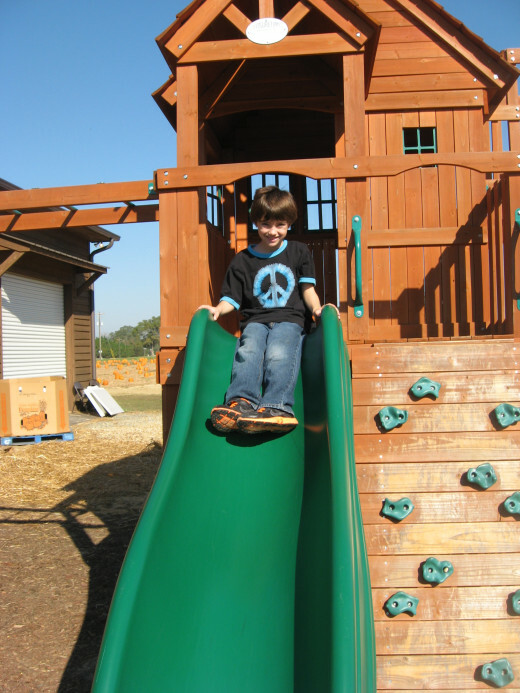 It gives kids the opportunity to run, climb, slide, swing, dig, and explore. 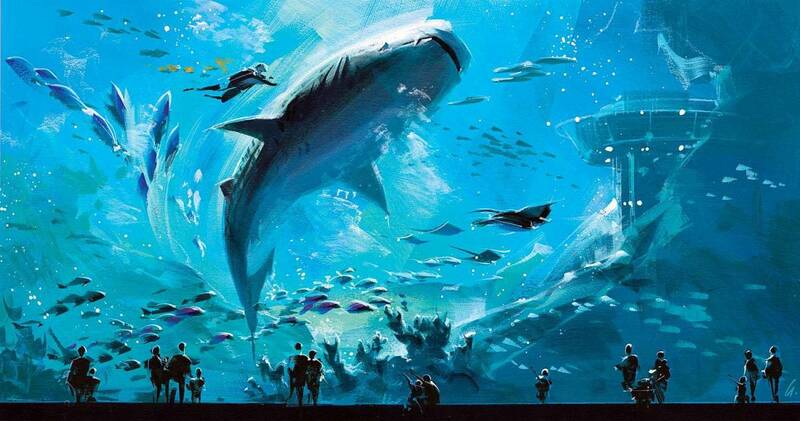 In my opinion, it’s a nice change of pace from theme parks and video arcades. As an adult, my favorite part of Rutland Farms is the Marketplace, which I call the Country Store. This is a large building with a rustic, attractive façade and interior. Some country stores I’ve been in are so crowded that they make me somewhat claustrophobic, but this one is different. All the items are “spread out” sufficiently, so navigating is easy. The country store has all kinds of goodies for sale, and I didn’t leave empty handed. I actually did some of my Christmas shopping there, and so did my daughter. I think she selected some scented candles. The kids’ main focus was on all the homemade candies. In fact, I think they saw the Marketplace as more of a candy store than as a country store. 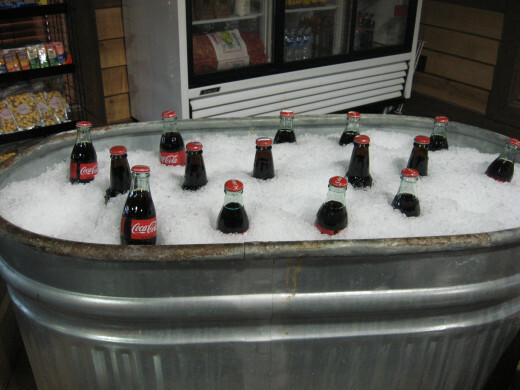 Something else that really caught their attention was the large trough that held iced down bottled soft drinks. Two of the boys stated that those were the best Cokes they’d ever had. Of course, that could well be because they’d just been running through the corn maze. At the rear of the store is a counter with stools, along with a bakery. You can purchase serving-size portions to eat on the spot, or larger portions for taking to enjoy at home. Some of the bakery items you might want to sample include pound cake, peach pound cake, lemon pound cake, pecan pie, pecan bars, lemon chess pie, or strawberry crumb bars. Across the front of the country store is a wide porch, complete with comfy rocking chairs and an attractive autumn display. The scene invites you to “sit a spell” and rock away your stress. You might want to strike up a conversation with a local and get a good dose of southern hospitality. Once inside, you’ll find that the employees are very friendly and helpful, too. 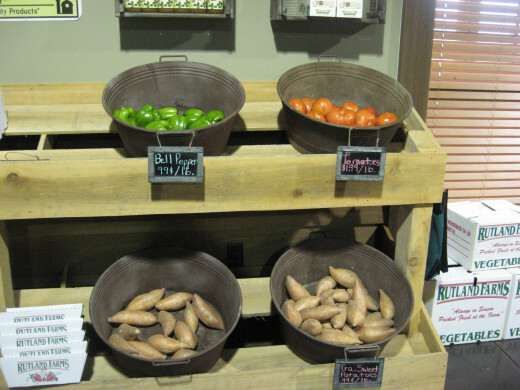 Fresh produce that’s locally grown is displayed in the store in metal washtubs. Of course, what’s on hand at the time depends on the season. In late spring and summer, you’ll likely find pole beans, cantaloupes, cucumbers, peaches, field peas, red potatoes, squash, tomatoes, and watermelons. In the fall months, you’ll find peanuts, peas, pumpkins, and sweet potatoes. Blackberry and blueberry season usually runs from March through July, and strawberries are available mid-February through May. If you’re craving fresh sweet corn, visit the farm from mid-May through mid-September. How about some fried okra? Rutland Farms usually has okra from mid-June through mid-September. Onions have a long growing season, so you can find them ready beginning in April and continuing until the middle of October. If you’re craving fresh, crisp apples, check out the Marketplace in the fall, when they have several varieties of apples from the rolling hills of North Georgia. 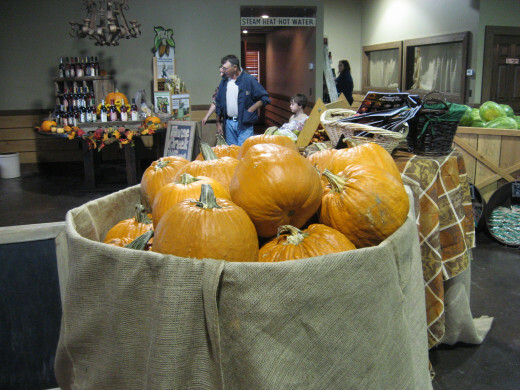 If you prefer the experience of picking your own fresh produce, Rutland Farms can accommodate. The farm first became popular with their strawberries. Folks would come from all over to pick their own juicy berries and to get a taste of the farm’s homemade strawberry ice cream. Be sure to try the peach ice cream, too! Strawberries are still the big attraction here as far as pick you own goes, but the farm has expanded in this area. 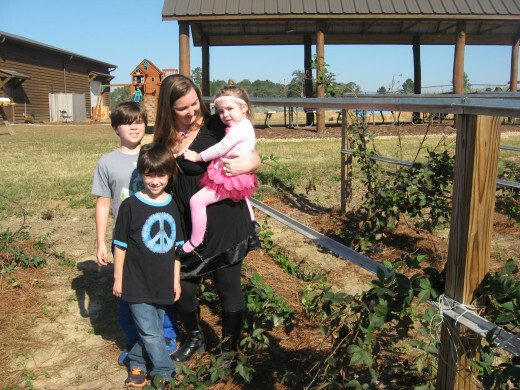 Visitors can now pick their own blackberries, blueberries, peaches, and vegetables. Of course, you can also select your own pumpkins from the pumpkin patch. To find out what’s ready for picking, you can call 229-386-5111. 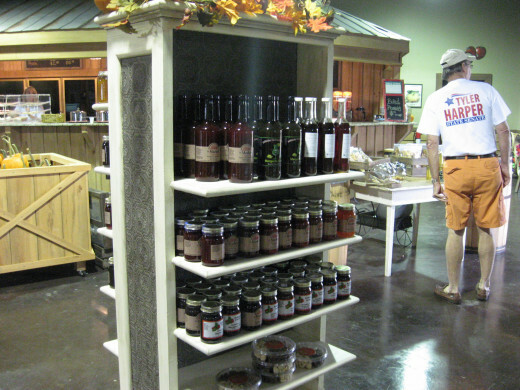 The country store is a great place to stock up on jams and jellies, all made by Rutland Farms. Some of the choices you’ll find include blackberry jam and jelly, apple jelly, moonshine jelly, concord grape jelly, five pepper jelly, pepper and strawberry jelly, raspberry chipotle jelly, wild crabapple jelly, scuppernong jelly, raspberry jelly, strawberry jam and jelly, tequila jelly, Vidalia onion jelly, Muscadine jelly, mayhaw jelly, peach jam and jelly, jalapeno peach jelly, and habanero jelly. Sugar-free versions are available, too. They also have something called “TOE jam” and “FROG jam.” The TOE jam is made from tangerines, oranges, and elderberries. The FROG jam is made from figs, raspberries, oranges, and ginger. You’ll also find a wide and varied assortment of preserves, fruit syrups, fruit butters, salad dressings, pickles, relishes, and sauces. To get a taste of the real country, try some of the apple cider, peach cider, or strawberry cider. The jams and jellies and other condiments make great gifts. I’m creating a big gift basket as a Christmas gift! Northerners traveling through Georgia often search for pecans for sale, and Rutland Farms won’t disappoint. 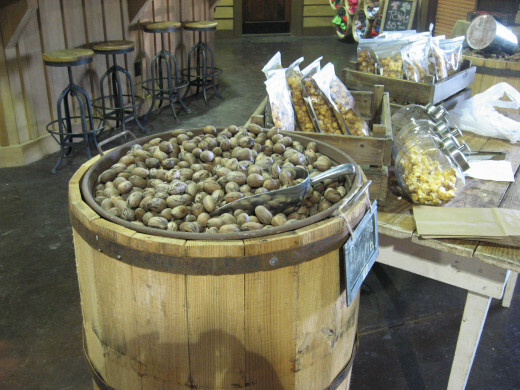 Pecans still in the shell are displayed in large old timey wooden barrels. Just scoop up the amount you want. If you don’t want to go to the trouble of cracking and picking your own pecans, you can also buy pecan halves and pecan pieces. Even better, you might want to buy pecans that have already been made into delicious goodies. You’ll find pralines, chocolate covered pecans, white chocolate covered pecans, pecan brittle, chocolate amaretto pecans, honey toasted pecans, roasted pecans, and yummy pecan bars. Be sure to buy a whole pecan pie to take with you, too. The Marketplace also has pecan oil for sale. Being a native southerner, I’m a little ashamed to admit that I didn’t know much about the oil until recently. I found out that pecan oil is a healthy choice, with less saturated fat than olive oil. 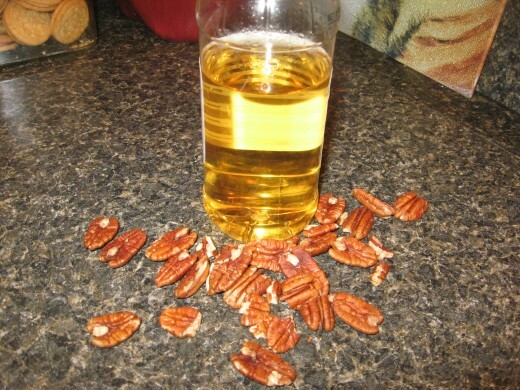 The oil extracted from pecans contains oleic acid and linoleic acid. The former helps enhance normal blood pressure and the latter is essential for healthy skin and hair. Pecan oil has other benefits, too. It gives foods a nice flavor that’s slightly nutty, and it has a high smoke point of 470 degrees. That makes it great for deep frying, but it’s also tasty in sautéed dishes, baked foods, and salad dressings. It doesn’t contain any chemicals or preservatives, either. To keep the oil from becoming rancid, it’s best to keep it in the refrigerator once the bottle has been opened. The Marketplace also sells wines from Horse Creek Winery, a local winery that’s just down the road. I don’t claim to be a connoisseur, but I can tell you that I’ve liked all the wines I’ve sampled from the winery. I purchased three bottles this past Saturday, in fact. Horse Creek Winery is located in Nashville, Georgia. The 40-acre vineyard grows Muscadine grapes, which are native to the Southeast. 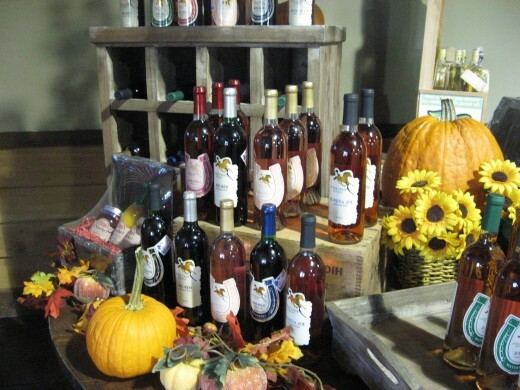 Some of the wines produced that you might find at the country store include blueberry wine, blackberry wine, strawberry wine, peach wine, and watermelon wine. My favorites are the Pinot Grigio and the white merlot. The Pinot Grigio is light and crisp, with the wonderful flavors of citrus fruits and pineapple. The white merlot is a little sweeter, with undertones of strawberries, cherries, citrus fruits, and chocolate. 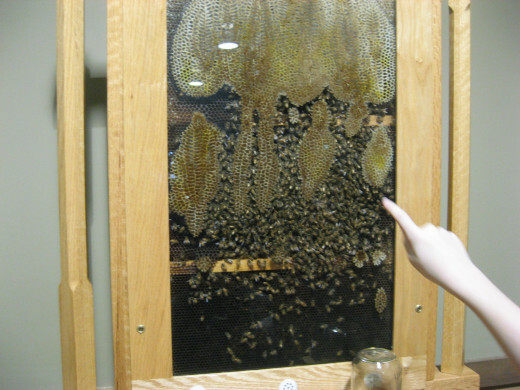 The subject of bee hives leads us to honey. The country store offers several different types of honey for sale, including raw honey and organic honey. Some jars and packages even include the honeycomb. The honey offered for sale is produced from bee hives on the farm, from wildflowers and sorghum cane. I’m not a big fan of honey, but this is the best I’ve ever tasted. I was really impressed with Rutland Farms. You’ll find that a visit is both fun and educational. Many local schools take field trips there, and the farm is very accommodating. 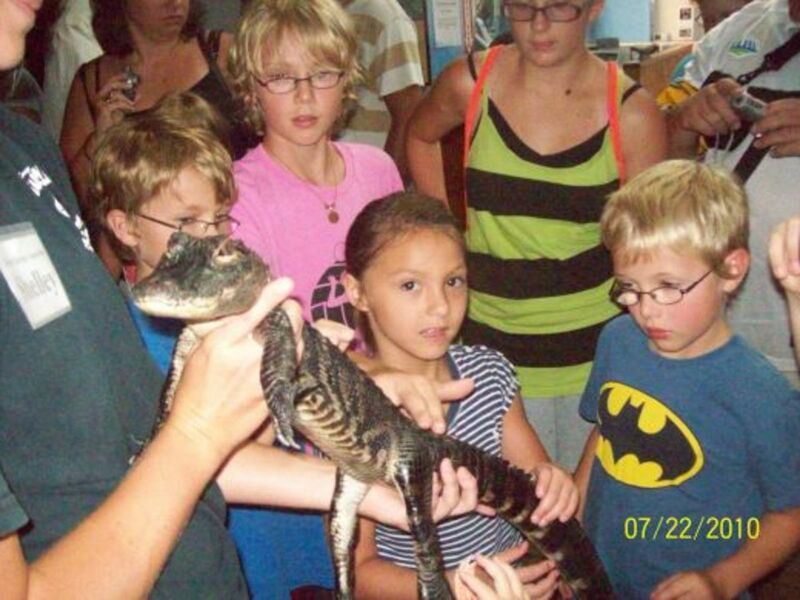 The farm also hosts birthday parties, and a couple of different packages are available. Depending on which one you choose, included might be ice cream, pink lemonade, cupcakes, wagon rides, a bounce house, strawberry picking, coloring books, and feeding the fish. If you’re interested in agriculture, you might want to schedule a farm tour. Rutland Farms has been owned by the same family for five generations, since 1916. 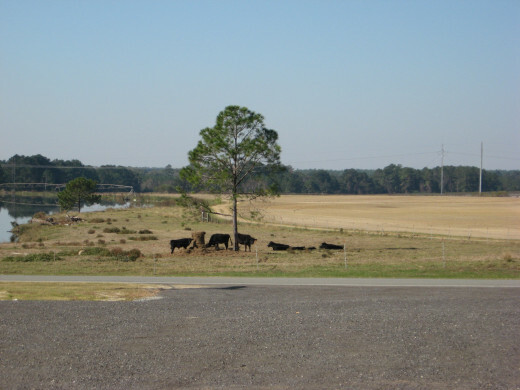 It began with just 36 acres but has grown to more than 2,100 acres over the years. 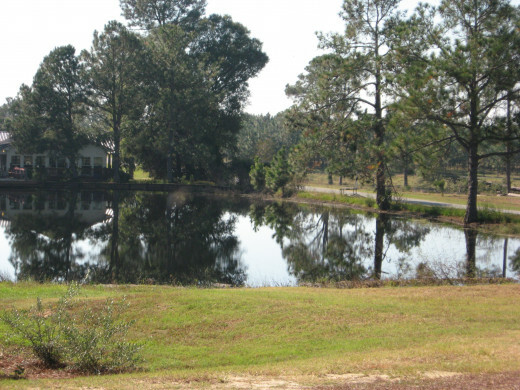 22 crops are grown here, and the farm boasts 20 ponds, some of which play host to bass fishing tournaments. The Rutlands are always coming up with new ideas. I spoke with one of the owners this morning, and she told me that they’re planning on adding a petting zoo in the spring. 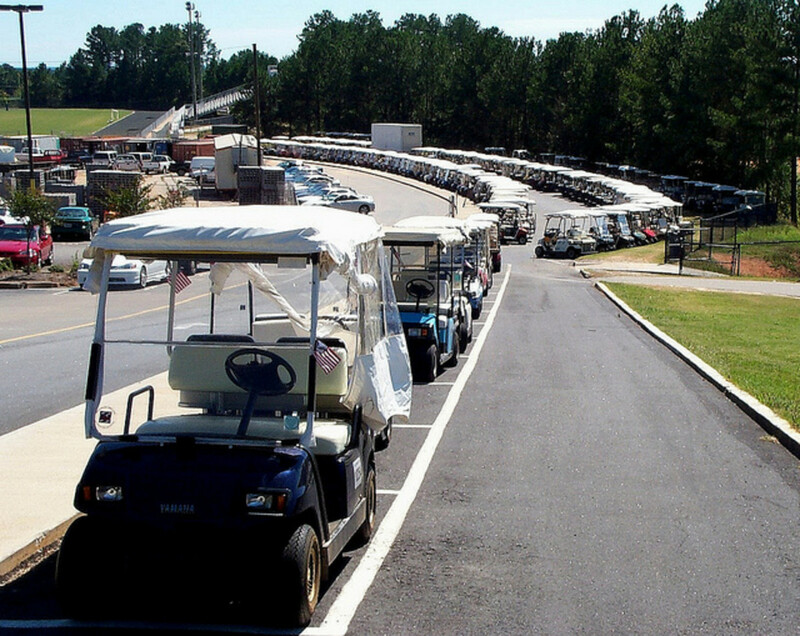 One of their goals is to host at least one major event for the public every season. Their fall festival was a big hit, with face painting, arts and crafts, hay rides, and the other fun activities for kids I’ve already mentioned. A stop at the farm is a wonderful way to get people back “in touch” with the land. Some inner city dwellers rarely get to see things like growing crops, grazing cattle, and working bee hives. And since the venue is just a skip and a hop from a major interstate, it provides travelers with a great experience and a close look at a working farm. We found the prices charged at the farm to be very reasonable. That includes the items in the store and the fee charged for activities. During a special event, the charge is $6 per person. Otherwise, $5 covers the corn maze, the bounce house, the playground, the duck races, the pumpkin patch, and the hay ride. In the absence of the bounce house and hay rides, the price drops to $3 per person. I strongly recommend spending a couple of hours at the farm. If you have children in tow, let them take advantage of all the fun activities for kids. If it’s an adult group, spend some time perusing the items in the store and ambling the grounds. Soak in the scenery and breathe in the fresh country air, and if you have time, I definitely suggest doing some serious rockin’ on the porch. In this hectic modern world, simple pleasures are getting harder and harder to find, so I’m thankful for places like Rutland Farms! Thanks for sharing your review. Rutland Farms looks like fun! I have to admit, I've been one of those people that simply drove through Georgia to get to Florida in the past. It is nice to hear more about Georgia. Thanks for sharing this! This sounds like a really good visit with enough to entertain the whole family and some delicious sounding home grown and home made food by the look of it too.